A new study from the Max Planck Institute reveals that the mixing of archaic human forms played an important role in shaping the immune system of modern humans. When modern humans met Neanderthals in Europe and the two species began interbreeding many thousands of years ago, the exchange left humans with gene variations that have increased the ability of those who carry them to ward off infection. This inheritance from Neanderthals may have also left some people more prone to allergies. Researchers of the Max Planck Institute for Evolutionary Anthropology in Leipzig, Germany, and the Institut Pasteur and the CNRS in Paris, France, report about the discoveries in two independent studies, adding to evidence for an important role for interspecies relations in human evolution and specifically in the evolution of the innate immune system, which serves as the body’s first line of defense against infection. 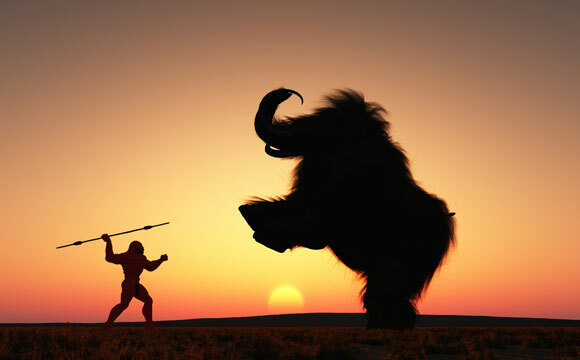 Be the first to comment on "New Study Shows Neanderthals Boosted Our Immune System"